This week on Comprehensive Beatdown, Bloggy Bonilla and Silent G listen to and discuss “The Ecology,” Fashawn’s sophomore album on Mass Appeal. The guys abandon some of their normal segments to focus on artists who are on the bill for Blender 6, Jackson’s favorite genre-mash-up show, which is put on by Elegant Trainwreck Productions and Homework Town Records (Silent G is a co-owner of both). Come see Silent G DJ at Offbeat on March 12. Opening for AF the Naysayer. 9 PM. $5. Check out Blender 6 at Offbeat (151 Wesley Ave.) on March 14th. 8 PM. $5. Featuring Tim Lee 3, Jackals, Passing Parade, Brik a Brak, and Tyler Keith. 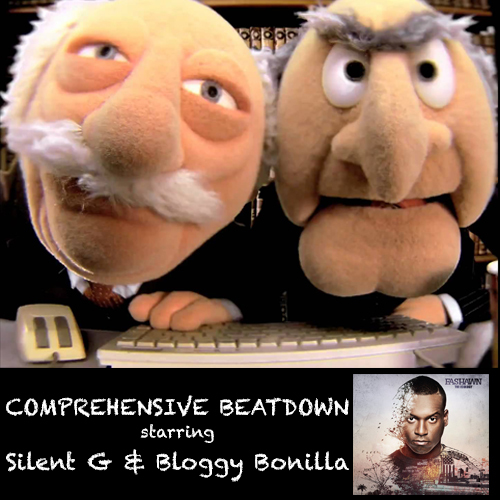 Find Silent G and Bloggy Bonilla on Twitter. Go to https://soundcloud.com/dopemedianetwork to follow more great podcasts from our friends.